Promo Card included in Game Trade Magazine #202. Reprinted for release as a stretch goal in the 'Villages of Valeria: Landmarks' Kickstarter. This promo card was released at Origins 2014. This Bonus Pack introduces a new Event mechanic. Players shuffle in Events in to the deck and when they are revealed through card drafting, players do the action on the cards. Along with the new Event cards, the Bonus Pack also includes 4 new Adventurers - Baron, Champion, Bishop, and Sorceress. This Promo Card was included in both the basic and deluxe KickStarter versions of VoV. It will not be included in the retail edition. David from DMG said "The Bard is an extra promo adventurer that we decided to give to all of the backers as a thank you for your patience." Roll for the Galaxy: Terraforming Colony/Diversified Economy Promo Tile is a new mini-expansion tile for Roll for the Galaxy . Terraforming Colony - A blue world with the ability: Gain $2 and a Novelty (cyan) good on this world when you place it. Diversified Economy - Produce: At the end of this phase , gain +$ equal to the number of goods you produced on differently colored worlds. Rube Goldberg is a promotional character for Steampunk Rally, offered initially as a print-and-play option and included in the Tesla Editions; however, he is available for purchase, and could be included in an expansion later. Rather than having the standard two cards, a cockpit and a machine, Rube has a single 4×4 card depicting an understandably simplified take on a Rube Goldberg device. Through the depicted convoluted series of mechanisms, a fire die provides a single activation (★) of 1 movement! The print-and-play PDF also includes the inventor stand (the playing piece for the racecourse) in two sizes: one to match the size of those in the retail/Kickstarter version of the game, and another to match the size of those in the print-and-play version of the game. Rather than having the standard two cards, a cockpit and a machine, Ignacy Lukasiewicz has a single 1×2 card depicting a cockpit with an oil drilling tower. Ability: Gain an additional cog and a heat (red) die whenever you discard a drafted card for dice or cogs. Description from the publisher: The Yellow Artefact promo cards are composed of 1 survival card, 1 hunt card and 4 new place (#10) cards. The survival and the hunt cards may be added to their respective stack. The new place card is a new version of the artefact and replaces the one of the base game. Pocket Imperium: Prosperity adds yet another layer of strategy to Pocket Imperium' s minimalist gameplay. You must now guide your star empire to take advantage of changing new opportunities appearing across the galaxy. At the beginning of the game, players set the Prosperity cards face-down in a row, which represents the new opportunities and bounty available to those who dare seize them. Each round of the game, the next round's Prosperity card is revealed, allowing for players to plan to occupy specific systems, raise fleets or take over Tri-Prime, all of which reward the player with additional points. Each card will also reward players with additional actions, depending on if they played a command card at a certain time in their turn, representing certain actions being more efficient due to market conditions. Prosperity is meant for those who are looking for more of a "gamer's game" out of Pocket Imperium . 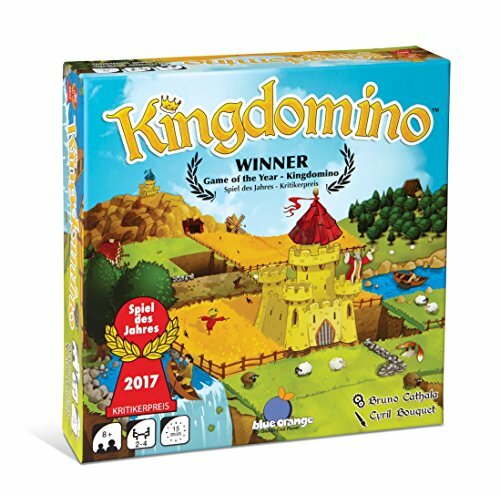 It is appropriately sized for a microgame, and offers additional choices at both the tactical (action timing) and strategic (changing goals for bonuses) levels. Description from publisher: The Shadow of Death is cast over the arena! Spartacus: The Shadow of Death adds new versions of Spartacus, Crixus, and a more powerful Theokoles to the game, each with special Primus abilities. The expansion also includes special gladiator models to represent Spartacus, Crixus and Theokoles during the Arena Phase. A new noble house is available to players, the esteemed Magistrate Calavius. The expansion also introduces Festivals, special Primus altering events to honor the capricious Roman gods. Boast about the prowess of your gladiators to receive lavish rewards, but be sure your fighters can live up to your claims or see influence wane. Will your house quail under the dark shadow? This expansion requires both the base game and Spartacus: The Serpents and the Wolf Expansion Set.